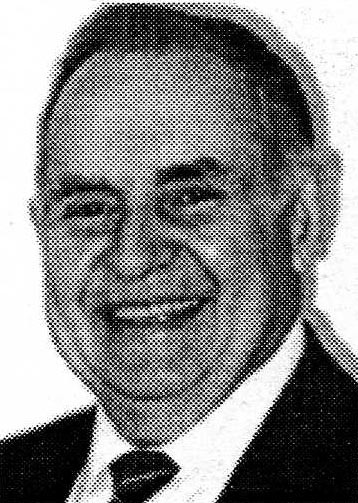 Carl G. Frank was born on January 28, 1925 to the late Adelaide Storz Frank and Carl N. Frank of Wilkes-Barre. He had one younger brother, the late Reverend Richard J. Frank. Carl has been an athlete and an all-around sports fan his entire life. As a youngster, his father taught him the art of fishing along the Susquehanna River where the Frank Family spent their summers at their cottage in Falls, Pa. Carl has passed on his love of fishing to his children, and for the past ten years has sponsored the Carl Frank Bass Tournament for his family and friends. As a teenager, Carl, with a group of his friends, joined The Mill Hill Sportsman Club, and subsequently purchased 500 acres of land and a stone cabin in Forkston Township, Wyoming County, later to be incorporated as Root Hollow Lodge, Inc. He has hunted deer there for many years, acquiring quite a few bucks’ racks as trophies. During his years at St. Nicholas High School in Wilkes-Barre, Carl excelled at basketball. He was chosen in both his junior and senior years, 1942-1943, as center for the Luzerne County Catholic League All-Star teams. Carl also led the league as high scorer in 1942 and 1943. In a 1968 newspaper column by Bob Patton, Carl is praised as “the finest basketball player ever produced at St. Nicholas High School.” Two weeks after graduating from high school, Carl was drafted to serve in the United States Navy during World War II on the Miami in the Pacific Theatre. Upon returning home, he married the former Elizabeth Ann Farrell, and went on to raise ten children. His wife of 49 years died on November 12, 1996. Also after his return from the war, Carl played professional baseball with the Boston Red Sox farm club at Mahanoy City, where he made a name for himself as a “hard hitter.” In 1946, Carl starred for the Wilkes-Barre Whirlwinds in the Penn State Basketball League. Carl then played with the Wilkes-Barre Barons basketball team under Coach Eddie White in 1947, 1948 and 1949. This team won the Eastern Basket-ball League Championship in 1947, and the American League Championship in 1948 and 1949. The Barons also traveled to the Chicago Tournament in 1948, where Carl played against the great George Mikan of the Minneapolis Lakers. While his children were growing, Carl again went back to his great love, basketball, by coaching Biddy Basketball teams at the Wilkes-Barre Catholic Youth Center. He later coached at Saint Nicholas High School with Bob Schuler. Today, Carl, a retired sheet metal draftsman and estimator, is perhaps busier than ever with sports. His sons and daughters are now doing the coaching under Carl’s watchful eye. Attending games, competitions and meets, he gives pointers and advice to the many of his 27 grandchildren old enough to participate in sports including basketball, baseball, softball, soccer, swimming and gymnastics. He has surely passed along his great love of sports.